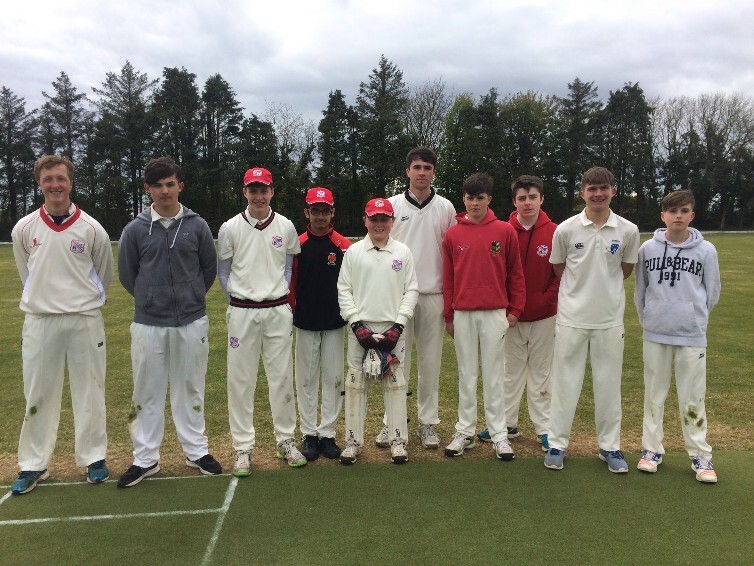 After an extremely successful season last year in the Munster Senior Schools T20 Cup - which saw the Cork Community Schools side defeated by Presentation Brothers College in a stunning final at the Mardyke – this year’s competition has already began in earnest, with last year’s finalists having already met. April 26th saw the Combined Community Schools begin their campaign against CBC Cork, looking to retain the trophy with some extremely talented young players involved. A fine day down the ‘Dyke saw plenty of runs put on the board, as CCC closed on 150-4 in their opening innings. Despite Joe Hourihane’s stand-out innings of 64*, the Sydney Hill side couldn’t get ahead of the run rate, and after their 20 overs closed on 141-2 for a nine run defeat that held plenty of positives for the city side. The following day saw the holders continue their reign in the tournament with a comfortable 7 wicket victory over Midleton College at the Mardyke. Midleton set a chaseable total of 114-6, looking to make a bigger dent on the competition this season. In response Pres made sure to keep ahead of the chase, and with Munster Reds development player Diarmuid Carey a solitary run short of his half-century before he got out, Pres reached the total with the loss of just three batsmen, for an initial win. Christians made the semi-finals of the tournament last season, but are now struggling to make the playoffs after a shock defeat to Bandon Grammar School on Wednesday May 3rd. Bandon may be known better for their rugby exploits this season, but under the tutelage of Cork Harlequins John Buss the West Cork side have come on massively. CBC, for their part, threw away wickets as well, as they closed on 91 all-out within the 20 over allocation. This Bandon side beat only Midleton College last year, and it was clear nerves affected them as they tried to struggle over the line, in the end Patrick Boyle’s 39 proved crucial as the tail-enders remained strong; Bandon just about completing a two wicket victory. At the top of the table PBC faced CCS in a repeat of last year’s final. A game of much quality opened with Pres under glorious skies in Cork, and having finished just a run short of his 50 a week before, this time he was given out on 51, to have a perfect average of 50 after two games. Up-and-coming Isaac Whittaker once again impressed with the ball, taking three wickets for the concession of just 10 runs as Pres closed on 115-3. It seems that the side chasing have held the advantage thus far in the tournament, and an imperious innings by Kieran O’Reilly saw the Midleton man bat from start to finish, eventually closing on 77* as last year’s losing finalists extracted revenge with a 7 wicket victory.